I’m one of those corny people who is all about New Year’s goals. This morning I got up an hour early to make miso chicken bento boxes for John and I to bring to work in an effort to stop eating the same boring sandwiches all the time. Of course the early wakeup means I’m already less enthusiastic about this goal, and the truth is most New Year’s Resolutions don’t work. You have to have systems in place for when you inevitably lose motivation. For example, it’d be really smart if I made some bento staples in advance instead of waking up at a time that probably isn’t sustainable for my life. 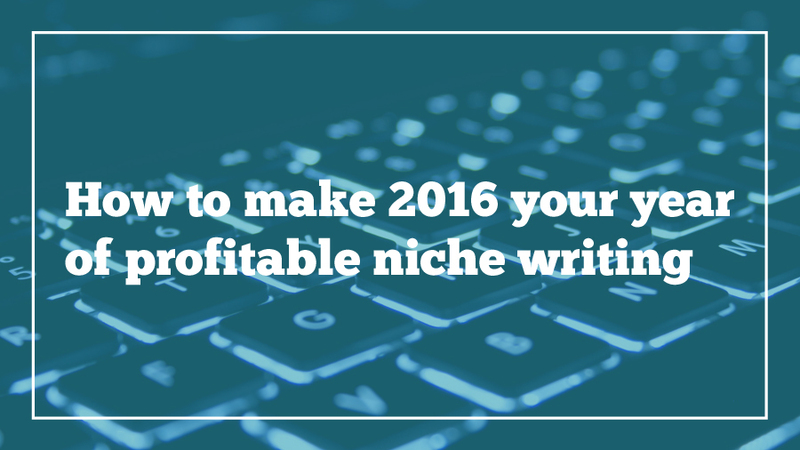 With that in mind, another 2016 goal of mine is to help you further your niche writing career. The problem with this is that a lot of ways to achieve this goal are dependent on somebody else. You can do the work, but you still need to find somebody to actually pay you for it. And then, I remembered my niche affiliate blog, Gunpla 101, where I write about Gundam, link to Amazon, and make money like that. As you can see, a niche blog won’t earn enough to let you quit your day job (at least in my experience), but it can help you pad your income. What would you do with a couple extra thousand a year? This is a money-making tactic that has worked really well for me, but I realize that a lot of people don’t agree. Some people think it’s sleazy (an opinion I understand, given all the underhanded affiliate marketing guides out there, guides which don’t work for long since they encourage you to game Google) and others simply think it’s too complicated. I want to dispel these beliefs, because I think affiliate blogging is one of the most rewarding ways to make money as a writer, no boss required. I spent the last week of 2015 writing a guide all about starting a niche affiliate blog that goes into all the details, and that will be up for sale in February. But in January, I want to do a 4-step walkthrough of affiliate blog construction, from topic brainstorming to your first sale. So let’s start with brainstorming. You might already have a topic, but the trick is finding a good keyword.I want you to use Google Keyword Planner in order to find your own keyword. A good keyword has: 1) low competition from advertisers and 2) at least 1,000 searches a month. “Gunpla,” which is a foreign word that most English ads don’t target is listed as “low” competition and gets 3,460 searches a month, meaning it fits this bill perfectly. If I had picked Gundam, which has “high” competition and gets 6,000+ searches a month, I would have a much more difficult time making money. That may not make sense right now, but it will come to light as we all continue this experiment together. I just created a new blog in order to test affiliate linking strategies for my book called Candle Fandom, but I’ll be generating a new keyword just for this experiment. I’ll reveal my keyword next week, and we’ll talk about generating blog post ideas based on our keywords and setting up a basic site for them to live on. Affiliate linking is my favorite way to make money as a niche writer. Since it relies on finding keywords that are sort of obscure, it’s like it was made for people with niche interests and hobbies. I’m really excited to embark on this experiment with you, fellow writers. Let me know in the comments if you’re with me on this, and feel free to share your keyword with me and I’ll offer advice!